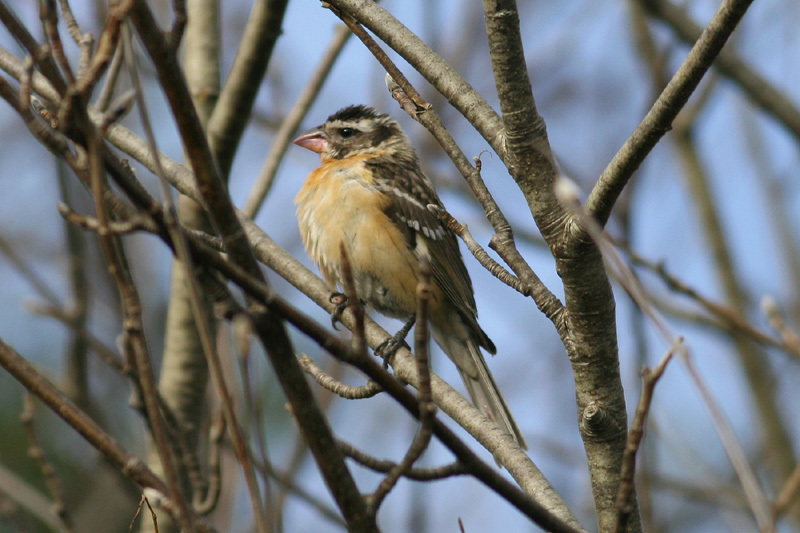 This immature male Black-headed Grosbeak provided the second record for the province, frequenting a cul-de-sac in St. John’s during early November 2008. Origins: A western species, breeding in southwestern British Columbia, the western half of the United States and parts of Mexico. It is an rare vagrant to eastern parts of the continent. Record Details: Two records for Newfoundland – both immature males: (1) Goose Cove (Great Northern Peninsula), ~January 10-17, 2007; and (2) St. John’s, November 4-8, 2008.